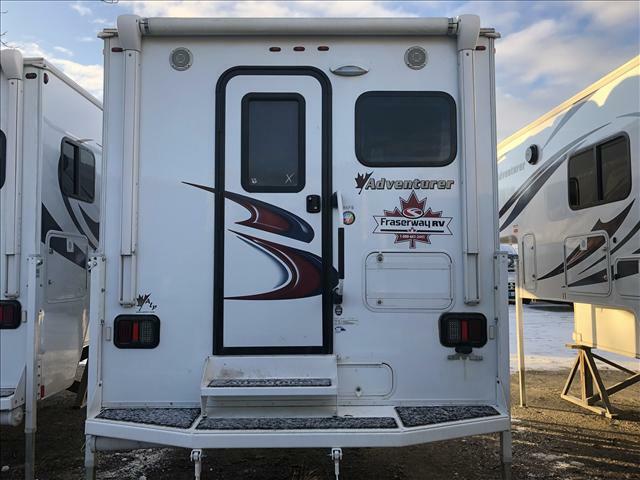 This Vacation Certified truck camper is one of our most popular selling models as it conveniently fits both a long & short box full size pick-up truck. It will accommodate 4 people but is perfect for 2. 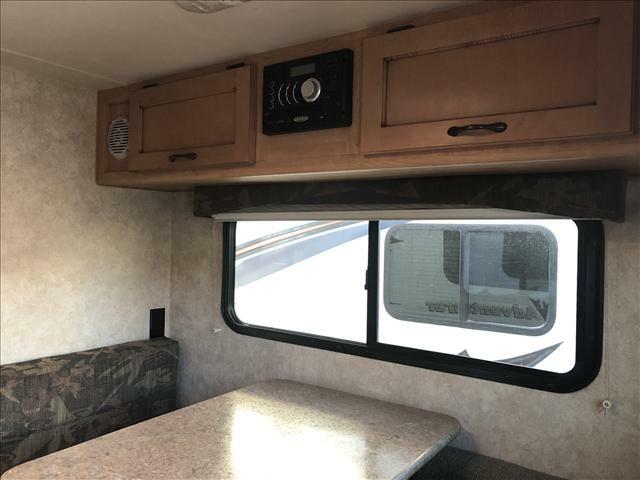 The appealing, well thought out layout allows for a private 60"x 80" queen bed, functional kitchen with a wet bath in between. 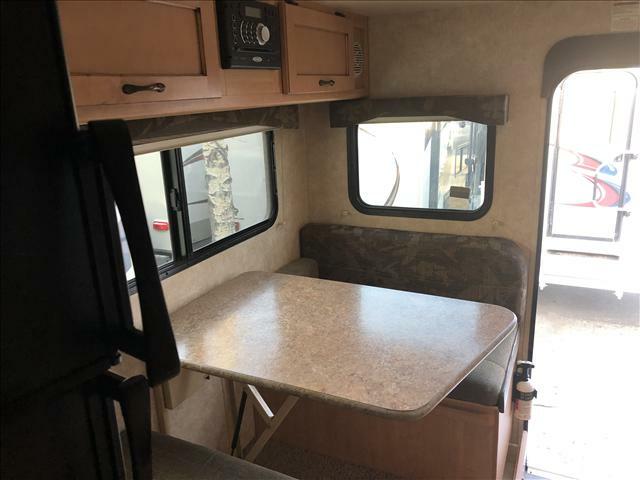 The bench seat/dinette bed conversion accommodates the second sleeping area if needed. 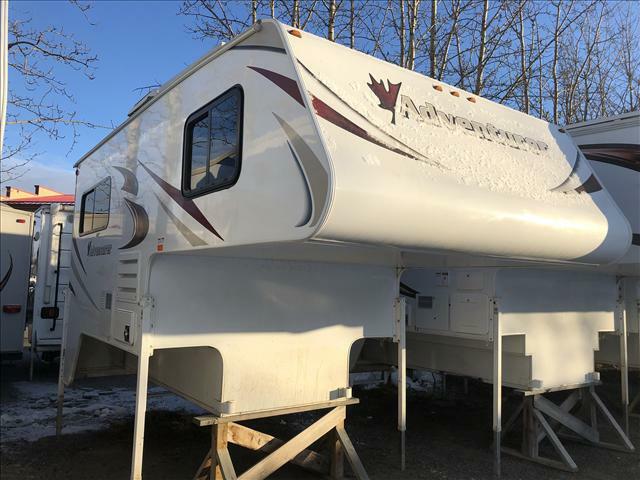 Some features and options of this unit are, rear electric awning w/ LED lights, comfort step bumper with folding steps, 100W solar panel, AM/FM/CD/DBD/Blue tooth w/ indoor/outdoor speakers, stove/oven & outdoor shower. 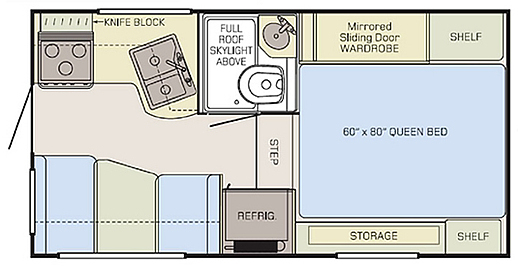 This popular floorplan suitable for 2 people but will also sleep 4. 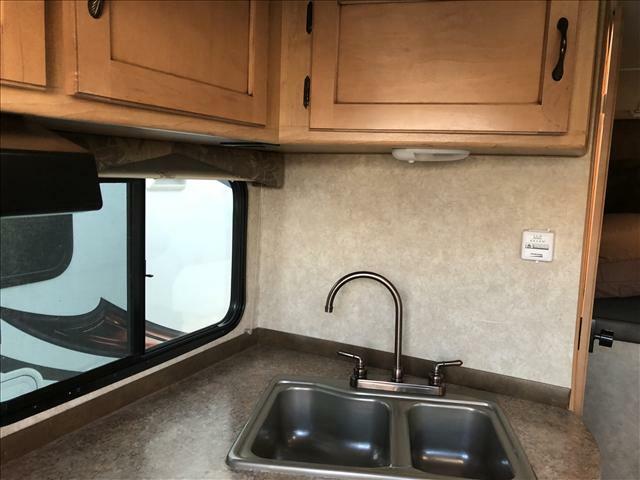 The bench seat dinette is located directly to your right when you walk through the rear door. 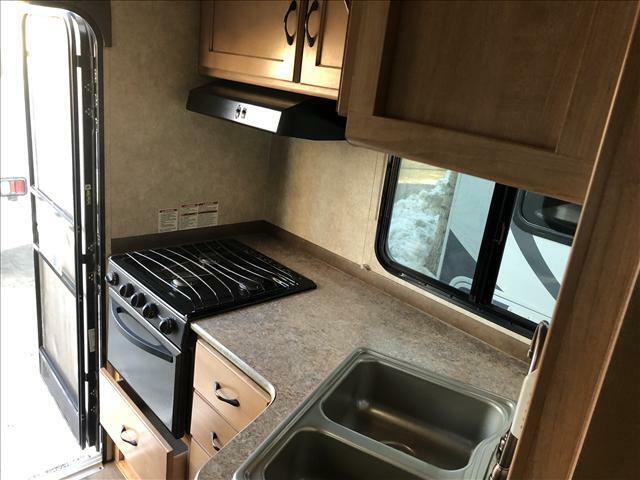 Straight across, there is a kitchen area with windows, 3 burner stove top, oven, double sink and lots of cabinets for storage. The wet bath is in between the master bedroom suite and the kitchen. This allows for more privacy in the bedroom area. directly across from the bathroom is a 6 cu.ft. fridge.